Another state legislator accused of sexual harassment is facing expulsion from the Colorado legislature. An investigation found 11 harassment accusations against Democrat Representative Steve Lebsock to be credible. House Majority Leader KC Becker filed an expulsion resolution Tuesday calling the claims against Lebsock “serious and egregious in nature.” Debate on the expulsion measure is set for Friday. Lebsock said he plans to fight to keep his job. A two-thirds vote would be needed to expel him from the House. Pictured above, Steve Lebsock, click to enlarge. 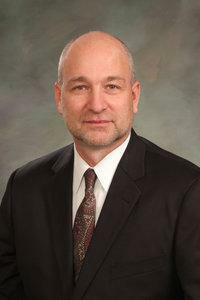 This entry was posted in News and tagged accused, colorado, Credible, expulsion, friday, House, investigation, member, representatives, Sexual Harrassment, Steve Lebsock. Bookmark the permalink.